Sorry I’ve been awol, but I’m back today with the card I promised you on Sunday. 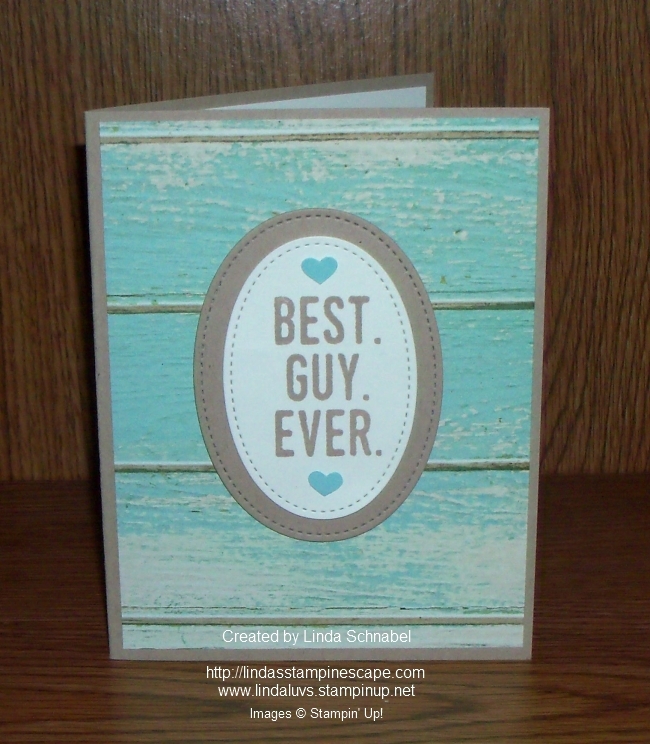 I said I had a special card that I created with the “destressed wood” designer paper that I used on my Best. Guy. Ever. card. Maybe it’s the destressed wood look or the Pool Party color or the combination of both, but it worked for me. And what do you see around beach houses … Dragonfly’s! My dragonfly is perched upon the Burlap Ribbon found in the Annual Catalog and the pretty little Lace Doilies from the Occasions catalog. Want to know something neat about those Lace Doilies? One side is Very Vanilla and the other side is Whisper White!! You can use them on anything and they are so pretty! You can see that I used the Dazzling Diamonds Glimmer paper for my Dragonfly … but I also gave it a color wash with the blender pen. I took a little Pool Party from the lid and with the help of my Aqua Painter I gently color washed my dragonfly. I love the different highlights of color … the white was just too much, adding the touch of color really softened it. My greeting comes from … you guessed it, Suite Sentiments! The font really fits this card well, and it fits the Carousel Birthday stamp set too! This stamp set was designed to coordinate with many of the sets and bundles in the Occasions catalog. 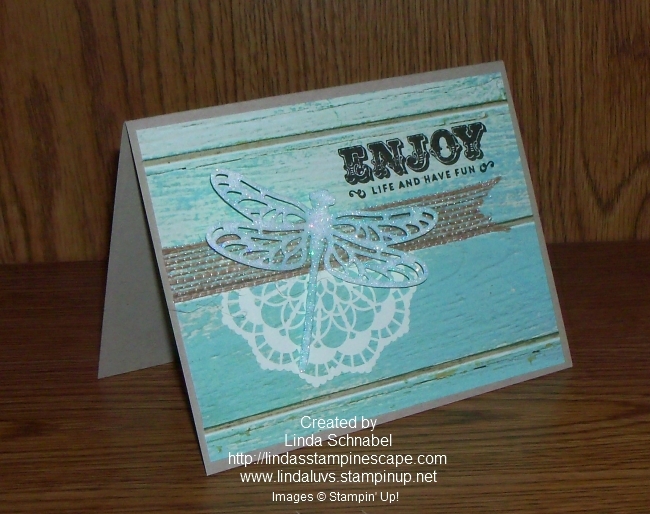 Way to go Stampin’ Up! So I’m not expecting beach weather in February in Wisconsin … but I can dream! Here are both of the cards – same designer paper, different look! Thanks so much for being patient and for stopping back to visit my blog. It is really appreciated. So enjoy life today … and have fun! « Simply Sunday: BEST. GUY. EVER.